The straightforward request for prayer does not begin to encapsulate the horrific context in which it was made. 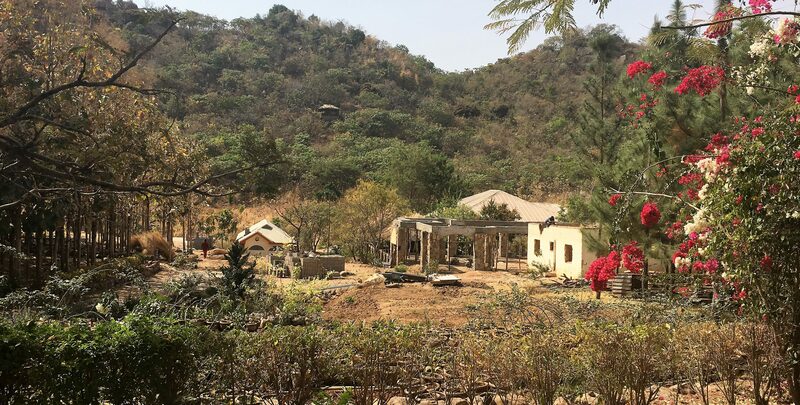 In early July 2018, 238 Christians were slaughtered in a single sustained attack by Muslim jihadists on a dozen Christian villages in Nigeria’s Plateau state near the city of Jos in central Nigeria, where the Kings have held multiple children’s leadership ministry trainings. These bring to a total of over six thousand Nigerian Christians murdered by such attacks in the 2018 calendar year alone. 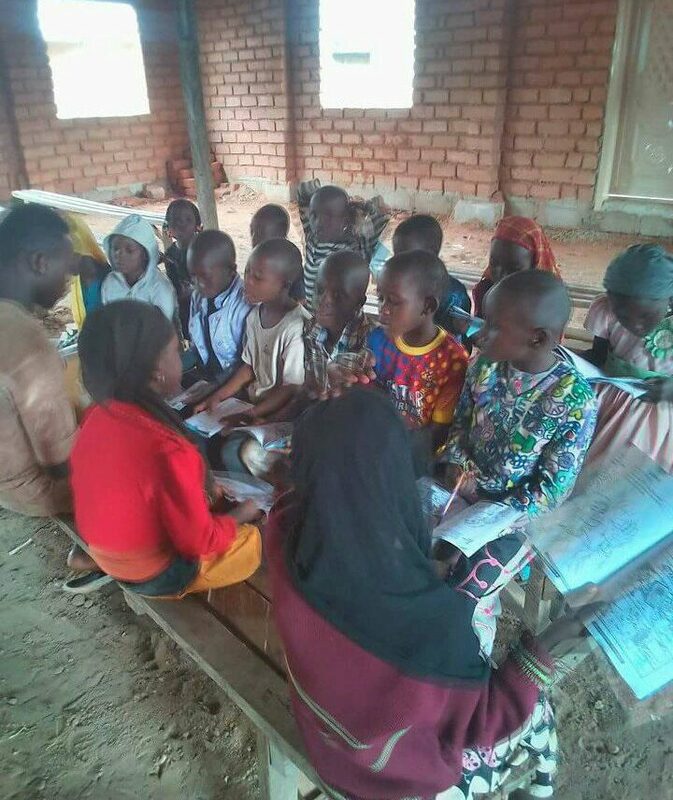 BCM International has been partnering with ECWA (formerly Evangelical Church of West Africa) for the past decade to train children’s ministry leadership across Nigeria, spearheaded by Stephen and Jane King. Originally founded through the ministry of SIM International (formerly Sudan Interior Mission), ECWA now has more than six thousand church congregations with over ten million members. 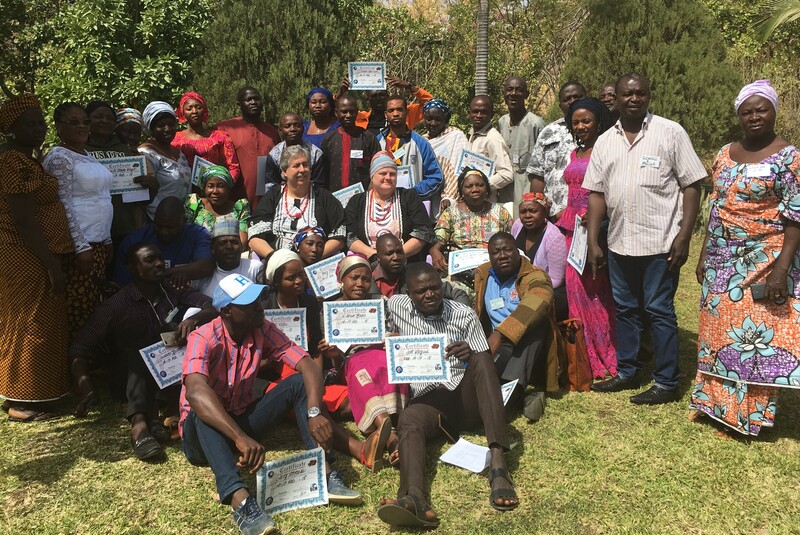 Thousands of children’s ministry leaders and hundreds of trainers have completed BCM’s In Step with the Master Trainer leadership training course and are now applying that training to raise up further leadership and reach children for Christ across Nigeria. All of which an upsurge in anti-Christian violence is making increasingly difficult. The most populous nation in Africa at almost two hundred million, Nigeria is evenly divided between Muslim and Christian populations, with southern Nigeria majority Christian and northern Nigeria majority Muslim. Since 2000, twelve of Nigeria’s northern states have adopted sharia (Islamic) law, which in turn has led to a steady rise in persecution of Christian minorities there. The kidnapping and forced marriages of hundreds of Christian school girls by Islamic jihadist group Boko Haram has roused international outrage. Less attention has been given to the arming of Fulani herdsmen and their attacks on Christian farming communities, mostly in Nigeria’s Middle Belt, where there are sizeable Christian and Muslim populations, though Christians remain a majority. Tension between the Fulani and Christian farmers is not new, since the Fulani are nomadic pastoralists, who feel they have a historic right to drive their cattle herds through farming land and crops. But for the most part, the two groups co-existed peacefully across Nigeria’s Middle Belt. In fact, many Fulani have turned to Christ. Which in itself has enraged radical Islamist elements among the Fulani, who began organizing into armed militias with a stated goal to wipe out Christianity in Nigeria, beginning with the Middle Belt. Who is supplying poverty-stricken nomadic herdsmen with AK-47s and ammunition is itself a question. In past attacks, Christian villages have been simply massacred, burnt, then abandoned. But now Fulani militants are seizing the land so that survivors cannot return to their homes. 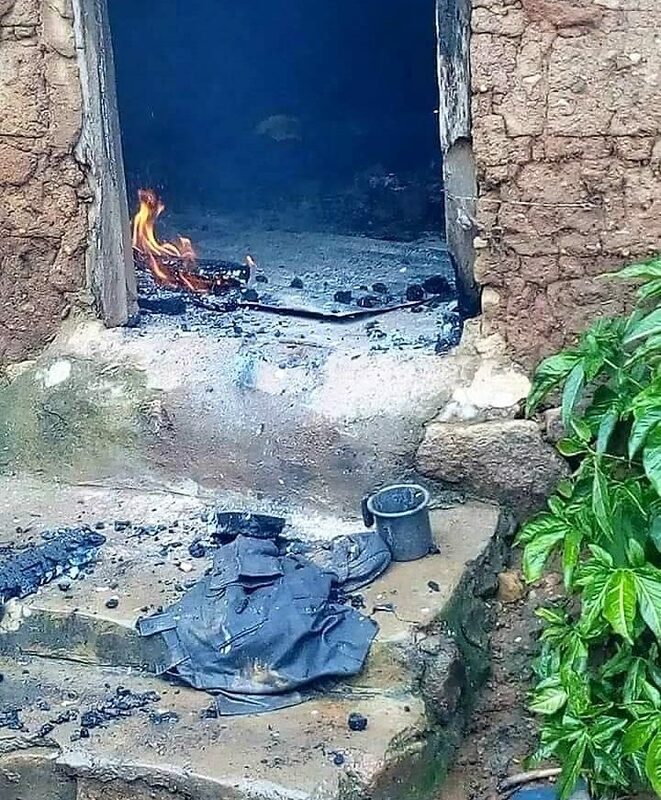 In a single four-day spree in June 2018, over ten thousand Christians were burnt out of their homes, farms, and churches just outside the city of Jos, an area where graduates from the King’s ISMT courses have been holding ongoing leadership training and children’s ministry. Just one ECWA pastor shares how his entire village, including two ECWA churches, were burnt to the ground. Of over a hundred who lost their lives, fourteen were from his wife’s family, all burnt to death. Photos sent to the Kings of the aftermath are simply too horrific to publish. In the midst of this, ECWA and other churches have steadfastly continued the task of reaching the Nigerian people for Christ. It says much about the situation they face that this year’s theme for vacation-time children’s outreaches (Holiday Bible School) was not super-heroes, jungle adventures, cowboy rodeos, or deserted islands, but “Joy in Suffering.” Training for this year’s HBS program was held in Jos, center of the conflict zone, July 13-14, 2018. 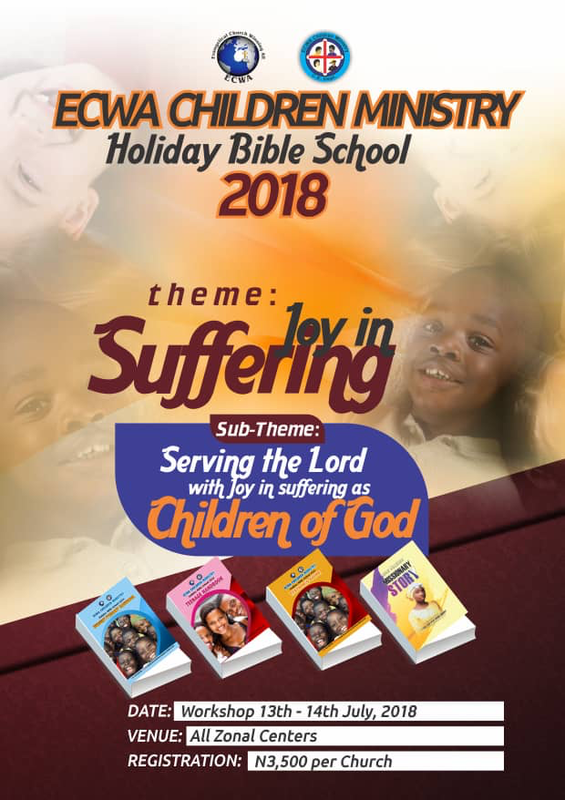 Participants then took that training back to their own churches and regions for six weeks of vacation-time Bible schools, centered around, “Serving the Lord with Joy and Suffering as Children of God.” From August 6th-12th, ECWA youth fellowships all over Nigeria also held their 2018 Week of Prayer with the same theme. Pray for resources, personnel, and generosity of God’s people to meet needs of the increased flood of widows, orphaned children, and homeless pouring into churches from conflict zones. Pray for displaced Christian families who are in need of protection and provision. Pray for the church to apply wisdom in negotiating peace with the Muslims. Pray for protection of children’s ministry trainees currently ministering where killings are happening. Pray above all for God’s will and grace in the situation. Pray for the entire body of Christ across Nigeria.